Following the tradition of legendary reporter Ryszard Kapusciński, long-form journalism constitutes some of Poland's best contemporary writing. Jagielski’s latest book, translated by Antonia Lloyd-Jones and released in English in 2012 by Seven Stories Press is presented as part of this year's PEN World Voices Festival in New York. After the festival meetings, Jagielski also travels to meet with readers in Washington, DC as part of the Busboys and Poets festival. The writer participates in a panel on children's rights organised in recognition of the 2012 Year of Janusz Korczak, which celebrates the spirit of Poland's great educator, writer, and defender of the rights of children across the world. 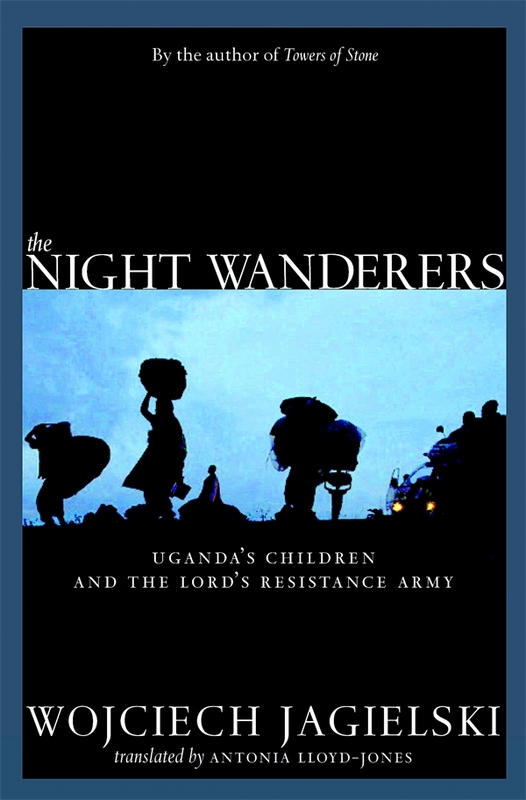 Wojciech Jagielski's The Night Wanderers is framed by a compelling account of the experience of one child forced to commit horrific acts of brutality as a soldier in the rebel forces of Joseph Kony, the Lord's Resistance Army (LRA). Kony claims to commune with spirits and controls his subordinates through sheer terror. Along the way, Jagielski outlines the history of Uganda and the cultural and political context in which someone like Kony could come to command such a formidable force. Jagielski also provides a vivid impression of the dilemmas that face a journalist from the outside, trying to break into an unfamiliar world. This is not strictly a journalistic account of war and mayhem; it is something more powerful and lasting: a literary sojourn through an African landscape of haunted horrors, observed with extraordinary patience and empathy by an exceptional writer and reporter. Wojciech Jagielski paints masterful portraits of messianic guerrilla leaders and mad dictators, but unforgettable ones of stone-faced child rebels who have been forced to kill and maim, and in the process have lost the ability to laugh, cry, or even enjoy ice cream. The Night Wanderers was shortlisted for Poland's highest prize in literature, the Nike Literary Award, in 2010. Jagielski presented his latest book at the eighth annual PEN World Voices Festival between the 30th of April and the 6th of Ma, 2012, assembled under the aegis of the PEN American Center - the largest branch of the world's oldest literary and human rights organisation. The festival presents over two hundred writers, translators, intellectuals, and scholars from across the world. The events in venues throughout New York City take on various forms such as readings, performances, discussions, film screenings, and workshops about today's literary world and the intersections between literature, politics, and the changing world of publishing. Following the meetings as part of PEN World Voices Festival, Jagielski signs books and takes part in a reading at the Busboys and Poets festvial in Washington, DC, on the 7th of May, 2012. Born in 1960, Wojciech Jagielski served as a foreign correspondent for Poland's leading independent daily newspaper, Gazeta Wyborcza from 1991 to 2012, reporting mainly from conflict zones in the Transcaucasus, Central Asia, and Africa. He recounts his travels in the Caucasus during the declining years of the Soviet Union in Dobre miejsce do umierania (A Good Place to Die), and chronicles Afghan regimes in his bestselling work, Modlitwa o deszcz (Praying for Rain), which was nominated for Poland's most prestigious book prize, the Nike Literary Award, in 2002. In 2003, Jagielski was honoured with the Dariusz Fikus Award, Poland's highest prize in journalism. His Towers of Stone, a tragic tale of Chechnya released in English by the Seven Stories Press in 2009, won the Italian Literatura Frontera Award. Jagielski is the winner of the 2011 special achievement prize presented in honour of the 15th anniversary of the Polish Grand Press awards for journalism. His latest book about child soldiers in Uganda, The Night Wanderers (Seven Stories Press, 2012), is necessary reading as President Barack Obama has announced plans in October 2011 to send armed military advisers to assist in combating the Lord's Resistance Army in central Africa.